Tree trunks lying across a road near Mitrovica. The barricades are gone, but tension remains. An agreement between Kosovo, Serbia, and NATO's Kosovo Force to remove blockades at two border crossings between Serbia and Kosovo was brokered Friday. But it took personal convincing over the weekend from Serbian Prime Minister Boris Tadic for Serbs in northern Kosovo to accept the deal. Even now, the Serb minority in Kosovo is still unhappy with the negotiations and feels abandoned by Serbia, who is pushing for membership in the European Union. Some fear this will cause Serbia to give up its claim to Kosovo, which declared independence in 2008. 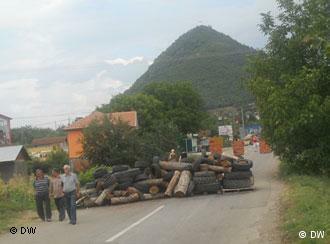 The blockades to the two border crossings in Brnjak and Jarinje are now being removed. They were set up in protest of Kosovo's decision to block the import of Serbian goods. Now, though, Kosovo's embargo can continue to be enforced at the border. Bojana Matic is a pharmacist near one of the border stations and doesn't want to see control of the border return to Kosovo. "Everything will be more expensive because we will have to pay duties on goods from Serbia," she said. "Life is already tough." From southern Kosovo, where the Albanian majority lives, maintaining control over the border crossing to Serbia is perfectly justified. Kosovar Foreign Minister Enver Hoxhaj said in an interview with German public radio that if controls on trade at the border were left to the Serbians, the rules would not be enforced. "I don't think that this is about a Serbian minority," he said. "This is about an organized crime group, which has maintained control over both border crossings for the last 12 years." 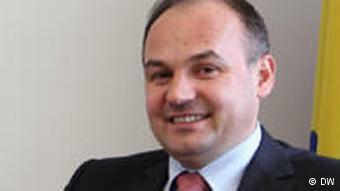 That argument doesn't fly with Caslav Sofronijevic. 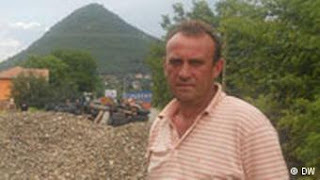 He's the mayor of Rudare, a small town in northern Kosovo populated by Serbians. In Rudare, several barricades were erected to protest the implementation of Kosovo's laws, which has lead to high tension between Serbs and Albanians. The border crossing at Jarinje was set on fire during recent clashes, and one ethnic Albanian police officer was killed. Sofronijevic says that isn't surprising. "It's sad about the Albanian policeman," Sofronijevic told Deutsche Welle. "This person probably had kids and a family, and of course that's not good. But why would Kosovar Prime Minister Hashim Thaci send people like him into such danger?" "Thaci knows that you can't send special commandos here," Sofronijevic continues. "We have our institutions, our country - and we call that Serbia. We won't be forced with violence, special forces, or other means to be integrated into the Kosovar system. That's like taking away a child's mother and saying the stepmother is better for it than the real mother." Troops from NATO's Kosovo Force have temporarily taken control of the border crossings and describe the situation as 'tense, but calm. 'The hope is that things will remain relatively quiet until Serbian and Kosovar officials resume EU mediated talks in mid-September, when a long-term free-trade solution will be on the agenda.